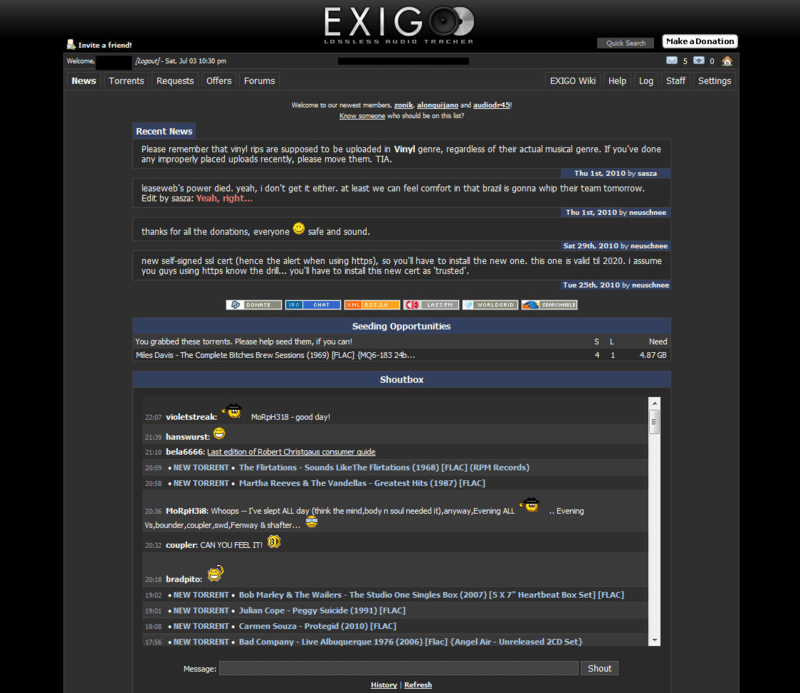 Exigomusic.org / Exigomusic / Exigo – is the legendary elite music tracker, the rarest and the most difficult to get, which contains a lot of music of high quality in lossless format. It can legally be said that in terms of music there is something that does not exist anywhere in the network, that is why to get on this tracker is the dream of every self-respecting music lover who appreciates quality in music most of all. 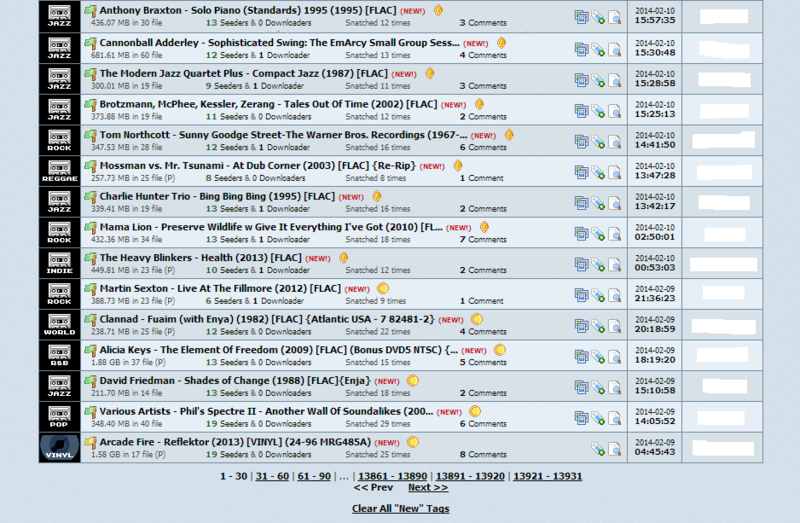 Music archive at Exigo is mostly formed by tracker’s uploaders who buy it on their own. 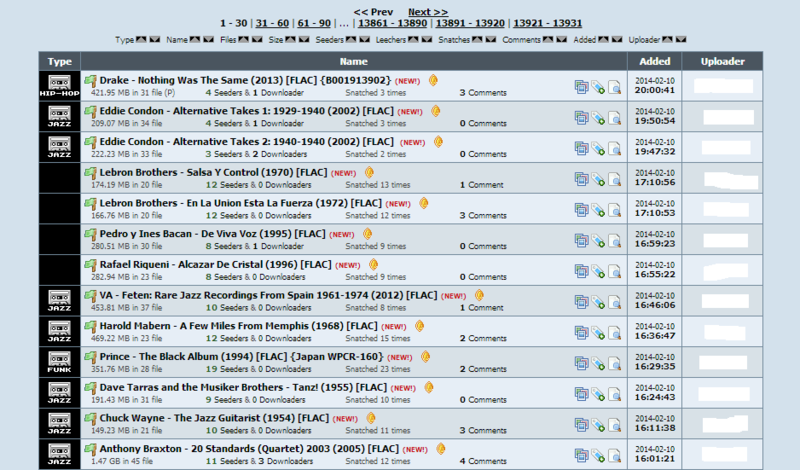 As a result, today Exigo – is a huge collection of FLAC rips releases and vintage vinyl records, which you can`t find elsewhere. 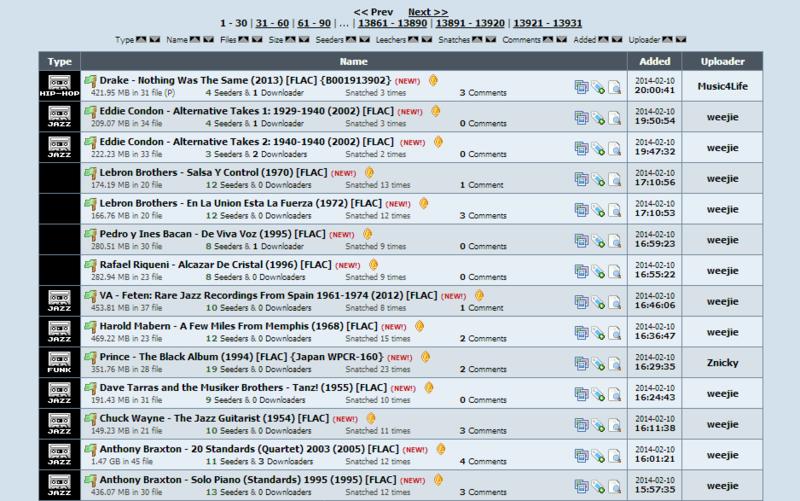 The diversity of genres and high quality of musical material have made this tracker the most difficult to enter in the network and its community is watching their elitist status and does not permit breaking the tracker’s rules. 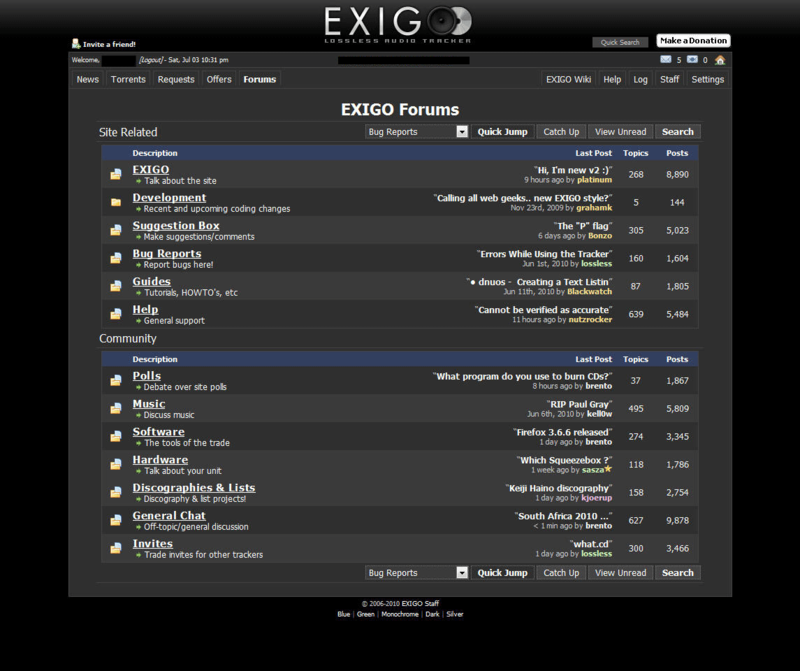 If you want to join the ranks of music collectors from all over the world, you have to get an invite to Exigomusic.org and you will soon realize that the quality – this is the main priority of this exclusive closed resource. You can also order a ready account with a high rating, which will allow to download the material immediately, without thinking about ranking.